Sting has been a superstar forever and his musical pedigree is truly impeccable. Apart from his hugely successful solo career his previous incarnation as front man with the Police had already made him a rock legend long before his own solo albums would produce modern pop/rock classics. 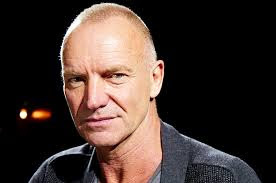 The problem for someone like Sting these days is two-fold. Firstly, how do you top what has gone before and Secondly, how do you remain true to your art in a musical landscape that elevates mass karaoke (XFactor etc) ahead of real vibrant original popular music. It is almost impossible these days for a new talented rock band or original pop singer/songwriter to be heard let alone successful. The recent breakthrough of Irish band ‘The Script’ does give some small grounds for hope. Equally it has become genuinely difficult for established stars to crack the charts and remain successful and relevant to a generation hypnotised (one hopes not permanently so) by the musical equivalent of a quick buck. Mounting the Symphonicity world tour which involves not just Sting and his own band but just by the way the entire Royal Philharmonic Orchestra must have been a huge financial risk even for someone as famous as Sting. Its worldwide success has been achieved with relatively little media coverage and in many ways is all the better for that. The show is much more than just another Sting concert it is a true musical event. If you missed the tour buy the DVD filmed at Denver’s Red Rocks Concert venue as Symphonicity is simply un-missable. To review this show is almost pointless as it simply has to be experienced. Sting & Maestro Conductor Steven Mercurio ensure that this brave fusion of classical musicianship and outstanding orchestration with modern contemporary popular music at its best works beautifully. Sting’s songs are expertly reinterpreted with brand new orchestrations arranged by Jorge Calandrelli, David Hartley, Michel Legrand among others. Police classics such as Roxanne, Every Little Thing She Does Is Magic and Every Breath You Take are featured along with some of the biggest hits from Sting’s solo career, such as Englishman in New York, Fragile, If I Ever Lose My Faith in You, Fields of Gold and the stunning re-imagining of his 1980s masterpiece ‘Russians’. The finale featuring his most recent success ‘Desert Rose’ brings the evening to a close in an almost dreamlike frenzied atmosphere. Symphonicity showcases just how magnificent much of Sting and The Police’s musical output actually is and how it borrows from more classical roots. Mozart himself would not be out of place in Sting’s world nor he in his. This is not just a great show but a work of true musical magic. Stings vocals and artistry blend perfectly with the orchestra’s magnificent sound combining to make Symphonicity one of the hottest tours in years. To accompany the world tour, Sting has released a new CD ‘Symphonicities’ along with the aforementioned DVD and TV special for Biography Channel. The music Sting has created is truly eternal.